Summer is almost over which means it is time to welcome in the new cohort and welcome back all of the returning MLIS students! The ALISS officers have literally been all over the world doing all sorts of things, but ready and excited for a new year! 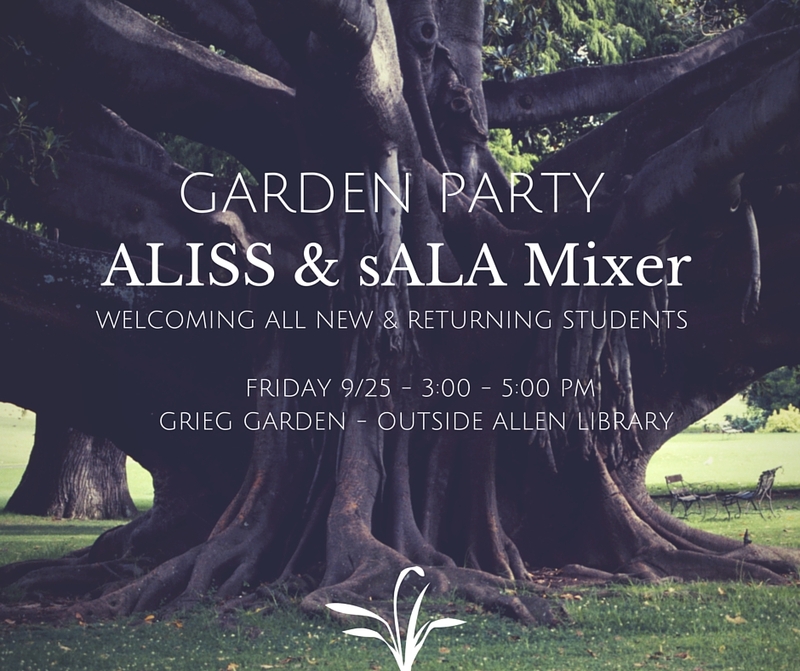 To help kick off the new year we are co-sponsoring a garden party with sALA. It is going to be this Friday, 9/25, from 3-5 pm! Come over right after the iWelcome week fair, we’d love to meet you and catch up. Remember to tag all your iWecome week posts with #iSchoolWelcome, and we hope to see you on Friday! Welcome to the newly redesigned ALISS website!